Atsuma is a town that has rich nature such as an ocean, mountains and swamps. On sea side, there are beautiful sunset and surfing in Hama Atsuma, and rural landscape that the field spreads is on the inland side. In addition, beautiful starry sky is spread at night. Although it is part of the charm of the nature in Atsuma, you can experience in the following programs. 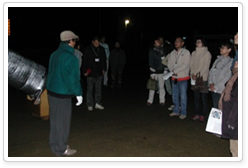 Atsuma has less streetlight in town and the star-filled night sky has spread where the suburbs are. In the clear air of the countryside, we can observe many stars we can not see in the city. Observing fireflies in Centennial Park. 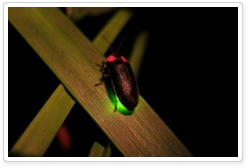 The environments that fireflies can live have recently become fewer and fewer, but lots of fireflies can be observed in the town of Atsuma with rich nature. 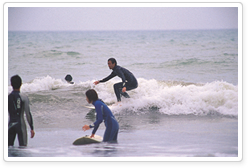 The coast at Hama-Atsuma district is one of the best surfing sport in Hokkaido. ISA(International Surfing Association) certified instructor will kindly show you how to surf, so even beginner can try it at ease.